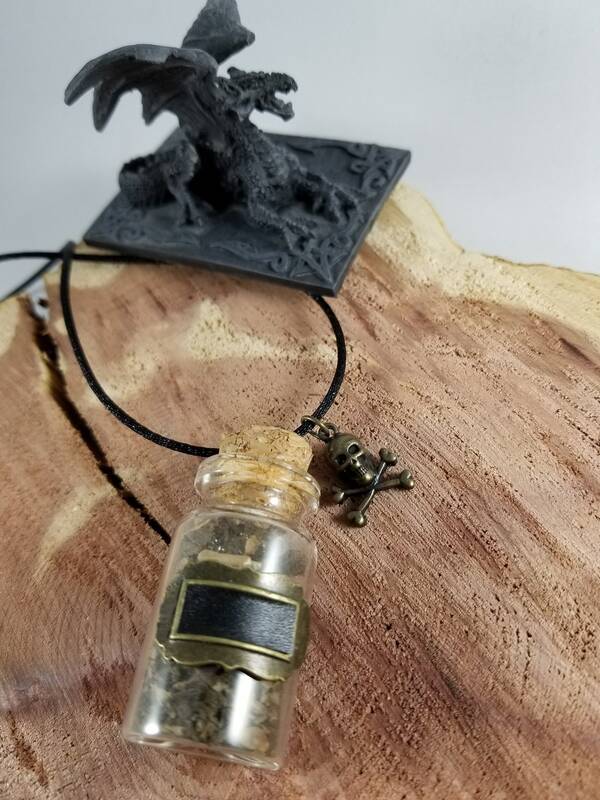 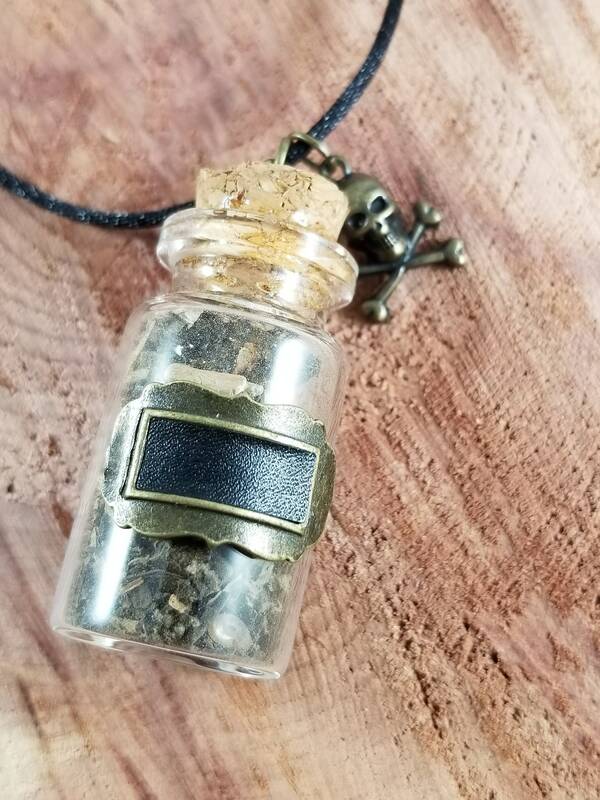 This vial was Handcrafted by me and it contains Graveyard Dirt, Frankincense & Myrrh Resin w/ a Skull and Crossbones charm. 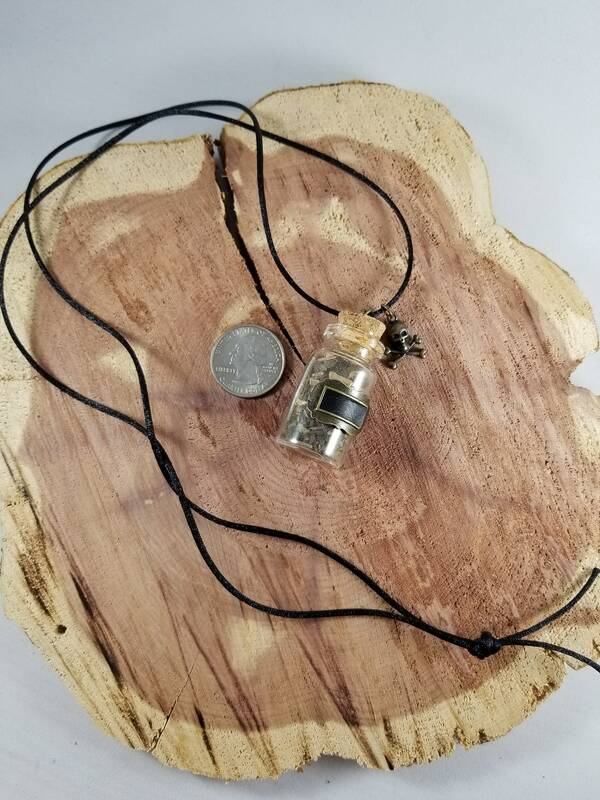 It comes on a 36 inch black cord. 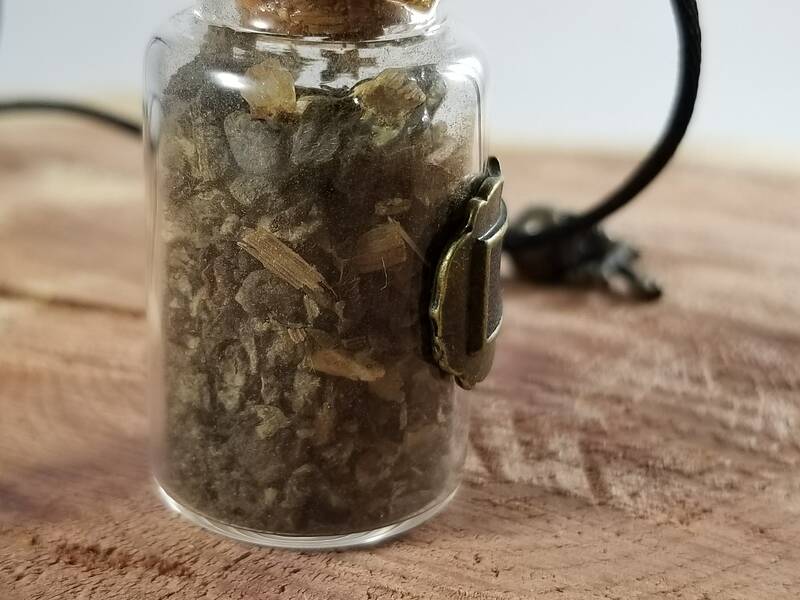 ***Disclaimer: The statements made here are spiritual in nature, and in case of illness or disease one should see a health care professional.